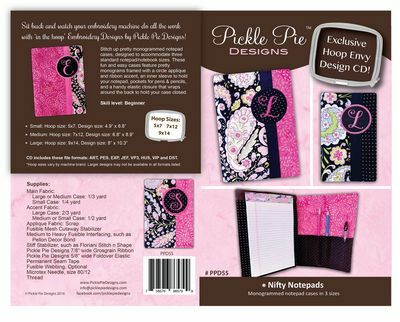 • Stitch up pretty monogrammed notepad cases, designed to accommodate three standard notepad and notebook sizes. 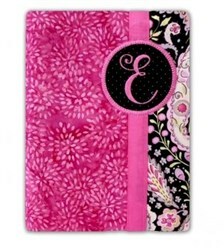 Stitch up pretty monogrammed notepad cases, designed to accommodate three standard notepad and notebook sizes. 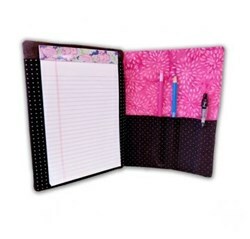 These fun and easy cases feature pretty monograms framed with a circle applique and ribbon accent, an inner sleeve to hold your notepad, pockets for pens & pencils, and a handy elastic closure that wraps around the back to hold your case closed. 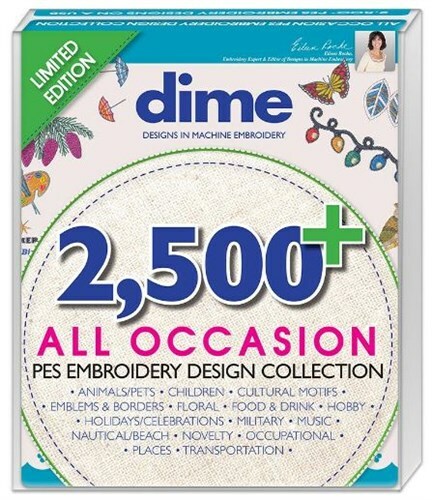 Large: Hoop size: 9x14, Design size: 8 x 10.3in.